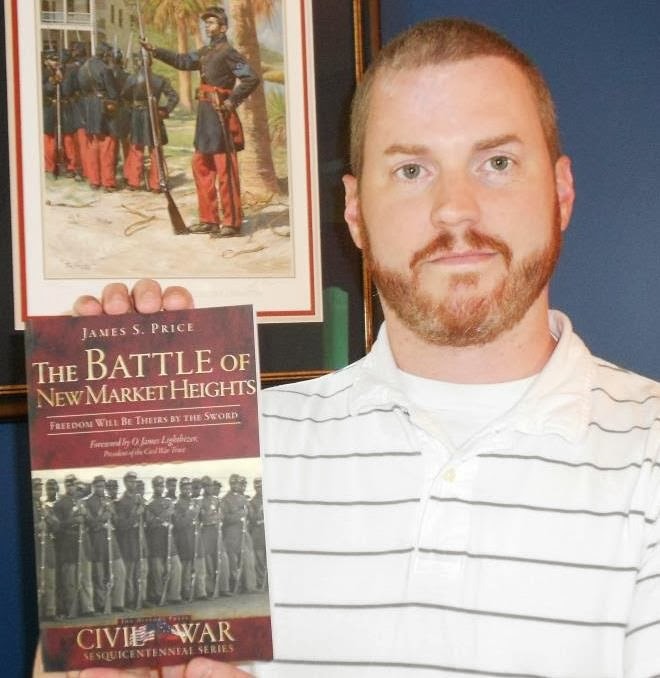 In case you missed it, I had the huge honor of having my book reviewed in the prestigious Journal of Southern History by Dr. Paul E. Coker of the University of Tennessee. Dr. Coker has written extensively on the experiences of US Colored Troops from Tennessee during and after the Civil War and I couldn't be more pleased with the review. The Battle of New Market Heights: Freedom Will Be Theirs by the Sword. By James S. Price. (Charleston, S.C., and London: The History Press, 2011. Pp. 125. Paper, $19.99, ISBN 978-1-60949-038-6.) 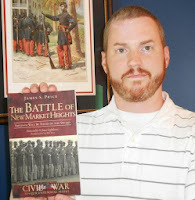 The focus of James S. Price's study is a sometimes overlooked episode of the Civil War's Richmond-Petersburg campaign: the courageous but near-suicidal charge of black Union soldiers against entrenched Confederates at New Market Heights, Virginia, on September 29, 1864. The black units involved suffered heavy casualties, but Union forces ultimately won the position, and fourteen black soldiers were awarded the Congressional Medal of Honor--a number that "equaled the total number of Medals of Honor issued to black soldiers in the Spanish-American War, World War I and World War II combined" (p. 87). Fellow bloggers Ron Baumgarten and Craig Swain came out to see some of the events and the park was fortunate to have Dr. James I. “Bud” Robertson, Jr. give the keynote address. For those who may have missed it, here is the full address. Enjoy!